Long before the famous Kodi media player became synonymous with illegal streaming, the totally legal platform was used by millions of happy users to access content from a central point. Kodi fans have long used the software to organize their private content libraries. 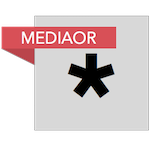 Indeed, plenty of add-ons allow users to consume premium content that they’ve already paid for, utilizing Kodi as a media player rather than the default access point offered by the provider. Over the years, this has led to the development of add-ons dedicated to providing access to Netflix, Spotify, and BBC iPlayer, not to mention services like YouTube and SoundCloud that can be accessed free of charge and entirely legally. Now, however, an interesting situation has raised its head over a Kodi add-on that wasn’t designed to break any laws and never provided illegal access to premium content. Showmax is an online video subscription service launched in South African back in 2015 as a competitor to Netflix and Amazon Video. Interestingly, it is owned by Naspers, the company that owns anti-piracy outfit Irdeto and by extension, Denuvo. Like all similar services, Showmax can be accessed by systems provided by the company. 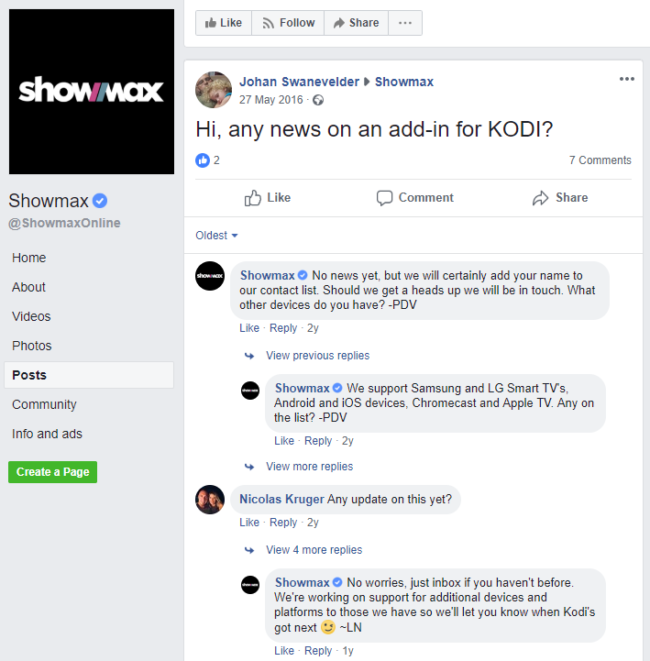 However, for some time the company has been lobbied by customers to provide a Kodi add-on, something it was considering in the not-too-distant past, as this screenshot from Facebook suggests. In the absence of Showmax delivering a Kodi add-on of its own, during August this year an independent developer did the work for them. 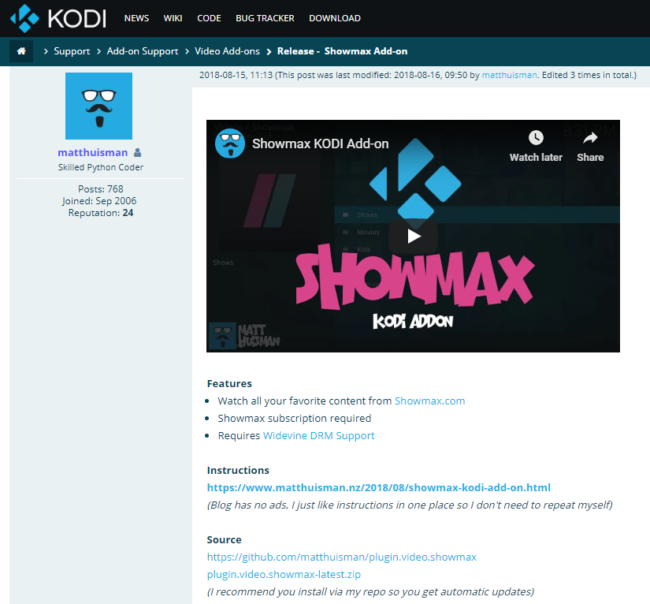 New Zealand-based coder Matt Huisman released his Showmax Kodi Add-on, which he promoted on the official Kodi forum. It’s important to note that the add-on does not allow users to access Showmax content for free and that a valid Showmax subscription is required, as the official release notes clearly state. But now, according to anti-piracy Irdeto (acting on behalf of Showmax), Huisman’s add-on is illegal. The add-on has already been taken down from Huisman’s blog and Irdeto has filed a DMCA takedown notice with Github to have the software removed from its official repo. “Showmax is an online subscription video on demand service,” the notice reads. As mentioned earlier, Naspers owns Showmax, Irdeto, and by extension, Denuvo. The notice provides no additional information as to why the Kodi add-on is illegal under the DMCA. Indeed, this type of takedown is usually reserved for software that allows users to access content such as that belonging to Showmax, but without having to pay for it. That’s not the case here. In common with all such takedowns, Huisman could file a counter-notice with Github to challenge the claims of Irdeto and Showmax. However, that could trigger a legal battle, one that would cost Huisman large sums of money to see through to its conclusion. Speaking with TorrentFreak, Huisman says that’s not going to happen. “I spent quite a bit of time developing the Showmax add-on. I don’t personally even use them, it was just a request from a few of their customers,” he explains. All that said, perhaps the most interesting aspect of this takedown is how it could affect other third-party add-ons that provide similar access to legal services. These are generally considered to be legal by the official Kodi team (they ban ‘illegal’ add-ons from their site) and other repositories that offer similar add-ons in the belief they’re staying on the right side of the law. 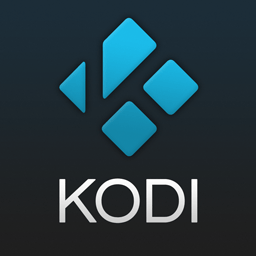 Without such add-ons, Kodi could be rendered much less useful, so this is an area to watch, should the trend continue.